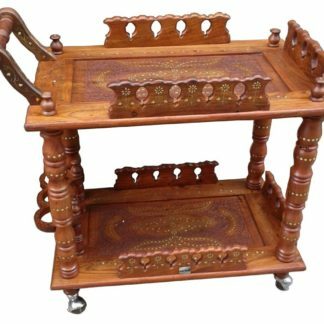 Aarsun woods bring to you the handmade Wooden Service Trolley made up of fine wood with fine finish.The service trolley has two levels where you can place your eatables and other items.There are case for placing bottles.There is handle and wheels for moving the Service trolley. 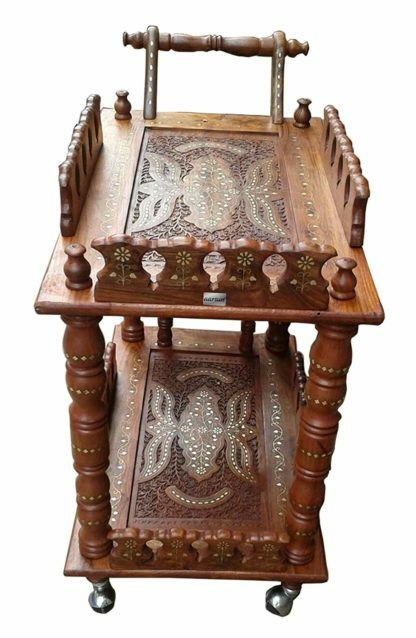 There are pillars over the kitchen trolley which are fully carved by our artisans.There is wooden railing at the side of the wooden trolley. 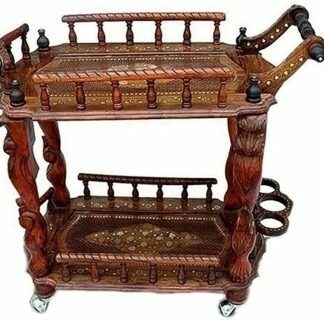 The wooden Service trolley has beautiful work at both the levels. 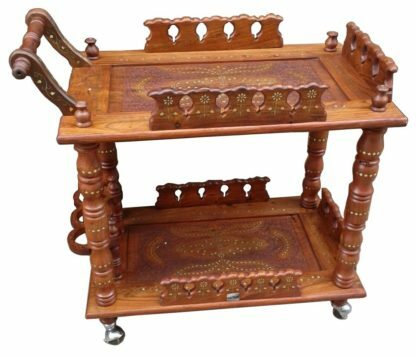 We use Indian rosewood in making trolley and you can use it in your home and add more classy look to your home. 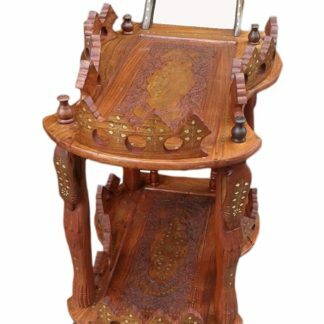 Aarsun woods brings you hand-carved Service Kart / Trolley made from finest quality Rose Wood with export quality natural color finishing by skilled artisans. 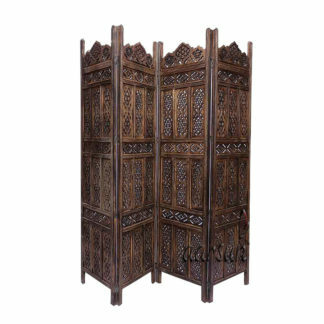 Sheesham Wood (Indian Rosewood) is among the finest quality woods and is highly durable and long lasting. It is in fact decay resistant. The texture of Sheesham is medium to coarse with a good natural luster.